Sometimes a property can suffer from severe damage and contamination without ever coming into contact with blood or disease. Properties that have been long abandoned can develop mold and other toxins, and other properties can become distressed when they are not properly taken care of. 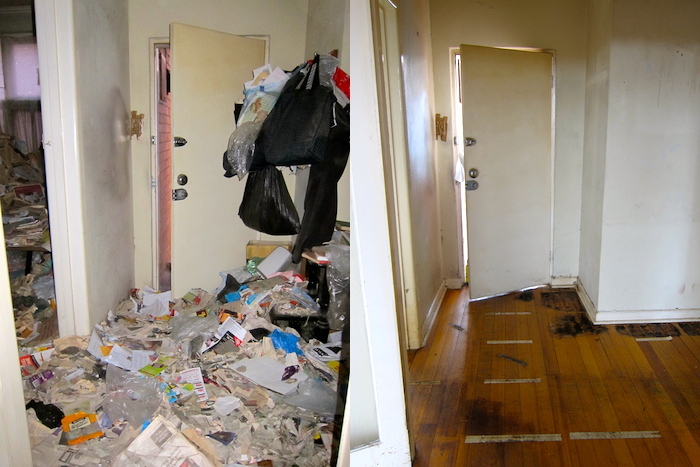 Mental disorders can lead to problems such as hoarding or extreme filth that often requires professional bio-cleaning. If a loved one suffers from a hoarding mental illness, he or she may be unable to part with any item that enters the home, even if that item is trash. Hoarding is a serious disease that effects many people in the US, and can quickly become out of control and destroy an otherwise beautiful property. If you have a property that has been affected by extreme hoarding, our expert hoarding cleanup crew can help to remove garbage and clutter, and then decontaminate and restore the underlying Texas property. When a property becomes distressed due to neglect, prolonged lack of cleaning, or hoarding, the cleaning process can overwhelm an average cleaning crew that does not have the know-how and bio-cleaning equipment necessary to tackle such extreme hoarder cases. Our hoarding and filth cleanup team has the experience and the tools needed to clean any home or business, and to remove filth, waste, garbage, clutter, mold, germs, and toxins in order to restore any property to full working use. If you own a distressed property, of if you feel a loved one is living in an unhealthy situation, give us a call today. We will quickly and thoroughly clean and decontaminate any property up to federal standards, and can provide odor control or even violent crimes cleanup as well, in order to protect the property and current and future occupants. Our hoarding clean up services team responds to the entire Dallas Metroplex and surrounding areas 24/7.